This is a recipe that I should’ve tried a couple of months ago but I kept putting it off because I never seemed to have all the ingredients at one time. Last week I ended up getting everything I needed so I decided to give it a go anyway and hope for the best. First of all, the food came out looking beautiful! I almost didn’t want to eat it because it was so pretty (we still ate it though). Secondly, this recipe includes a good amount of carrots (I hate carrots), but surprisingly I still enjoyed it. I don’t cook just for myself so sometimes I make dishes that include foods that I don’t necessarily enjoy eating (i.e. carrots, salmon, etc.). Both of the vegetables in this recipe were tasty though, and that’s probably due to the sauce that they were cooked in. 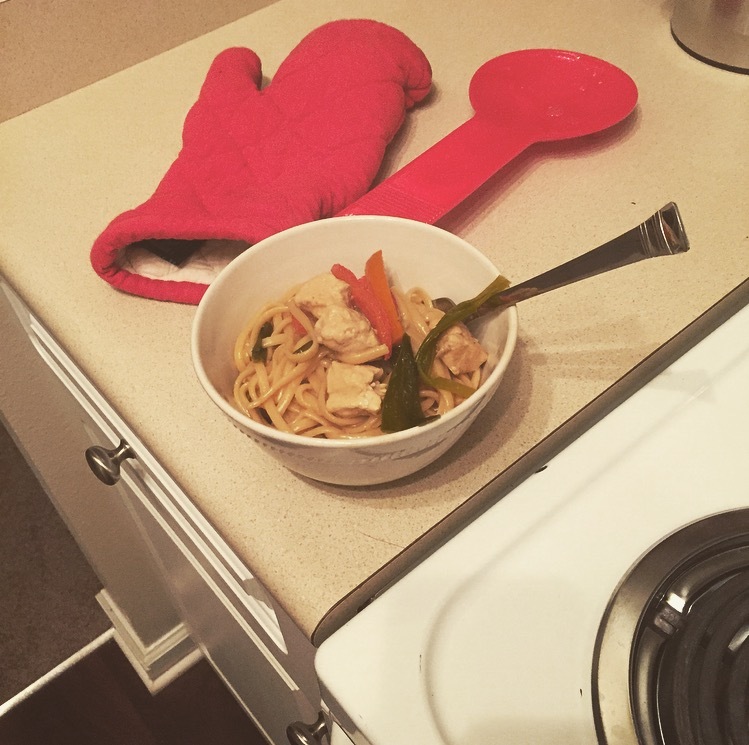 Lastly, the recipe calls for you to remove the chicken from your pan and put it on a serving plate prior to cooking the vegetables… don’t do that if you have no way of keeping the chicken warm. No one wants to eat cold chicken and warm veggies. I don’t have a serving plate that has the ability to keep the food warm so I kept my chicken in the pan with the vegetables and my chicken wasn’t burnt at all. Click HERE to try this recipe. 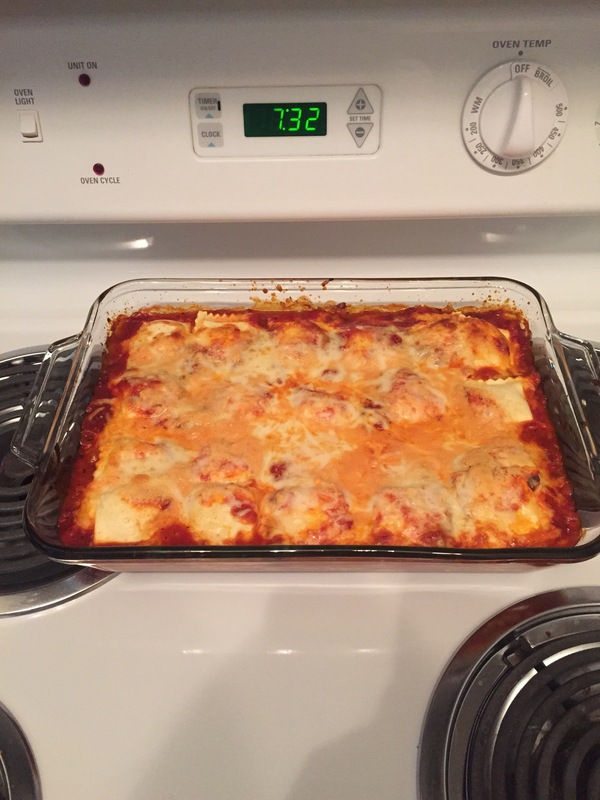 There is nothing better than a cheap and easy to make recipe that tastes great. This 3-ingredient baked ravioli is the epitome of a cheap and easy recipe. All you need is the frozen ravioli, pasta sauce and shredded mozzarella cheese. It doesn’t take long to cook; about 5 minutes of prep time and 45 minutes of baking and it’s done! And there’s not a lot left to clean up afterwards. Everything is baked in one dish and you don’t need measuring spoons or anything, so you really can just throw your serving dish in the dishwasher when you’re done. Click HERE to try this easy and inexpensive recipe. This one-pot recipe was really easy and fun to make. Literally, all you have to do is put all of the ingredients in a stock pot and turn on the stove. It took about 30 minutes and had my kitchen smelling really good! I also had enough to take leftovers to lunch for a couple of days so it’s a money-saver as well. I only had one issue and that was cutting the carrots; I had never done it before, so I had to ask my fiancé for help since he’s stronger than me. Who knew that carrots were so hard to cut? It doesn’t taste exactly like the chicken lo mein that you would get from a Chinese restaurant. That may be a good or bad thing depending on your taste buds, but my fiancé (who’s actually half-Chinese) and I loved it. And lastly, the best part is cleanup. Since everything is done in one pot, there’s no real mess to clean up once you’re done cooking. Click HERE to try this recipe! 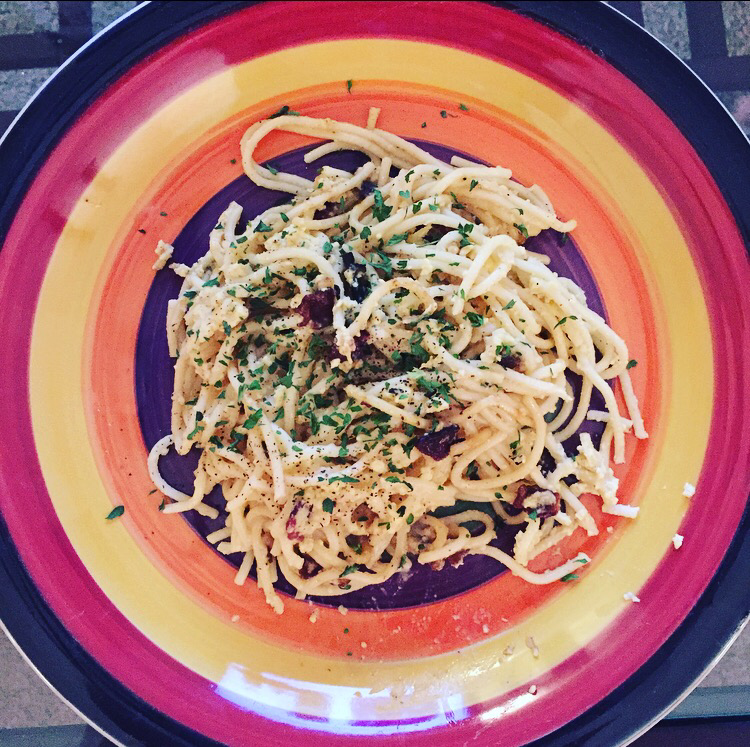 A few days ago I tried making Spaghetti Carbonara. It turned out… “Ok”. 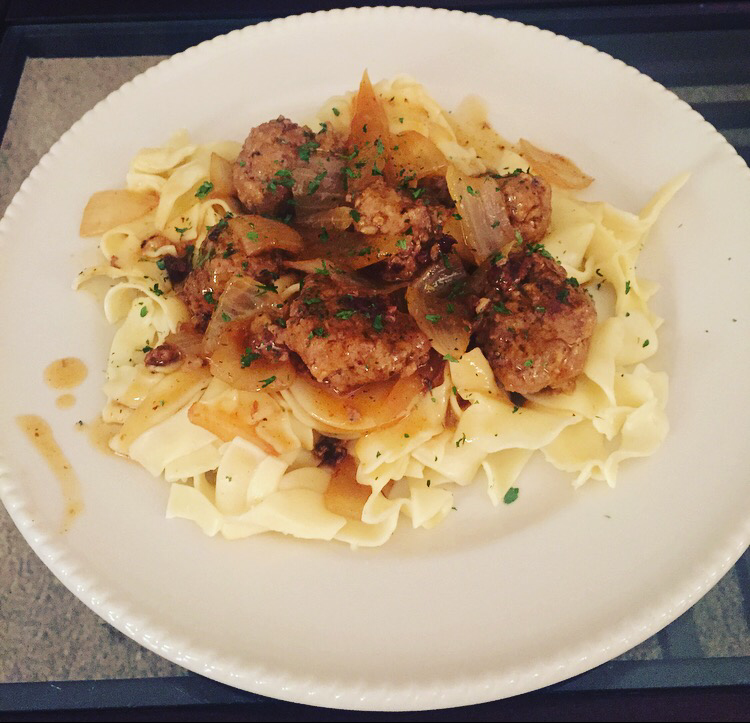 I decided to post this recipe because it really is a good & easy recipe but also because I kind of messed up. Why would I post a recipe that I messed up on? Because most people mess up from time to time and I want anyone who does this recipe to not make the same mistakes that I did. So the only issues I had with this recipe had to do with BACON. First of all, the recipe says to “dice” the bacon and I didn’t even know what that meant so I had to google it. As I’m watching a video on dicing bacon and preparing to follow along, the guy in the video says its best to do this while the bacon is frozen. And… My bacon was not frozen. It was too hard to follow the video with my bacon already thaw so I used scissors to cut the bacon up because I’m resourceful. AND uncooked bacon smells just as good as cooked bacon so I was really hungry at this point. My next screw up came with putting the bacon in the pan. So I didn’t put all the bacon in at the same time. Looking back, I should’ve put it all in at the same but of course hindsight is always 20/20. So some of my bacon got burnt while the other bacon was browning. But it was too late to turn back and I didn’t want to waste anymore bacon, so I proceeded with the recipe (burnt bacon and all). It wasn’t the worst mishap that could’ve happened but it kind of bummed me out. The food still turned out pretty though. And if you were lucky enough not to get a burnt piece of bacon on your plate, it tasted good too. I tried another Pinterest recipe last night. Halfway thru the process, I started having my doubts because I felt like the recipe was taking way more time for me than it was supposed to. It actually just took 15 more minutes than the author predicted; I’m just impatient. This is one of the more difficult recipes that I’ve tried recently. It requires some multitasking; whereas many of the other recipes have allowed me to just put everything in one pot/dish and just wait for it to be done. But it turned out really well! I was pleasantly surprised. Click HERE to see the full list of ingredients and directions. Now that I’m in my own place and cooking is a responsibility of mine (and my boyfriend; he cooks too), I’ve been using Pinterest to find new recipes to try. So far I’ve tried “baked ravioli”, “cheesy chicken & broccoli with rice”, and “baked salmon with asparagus”. 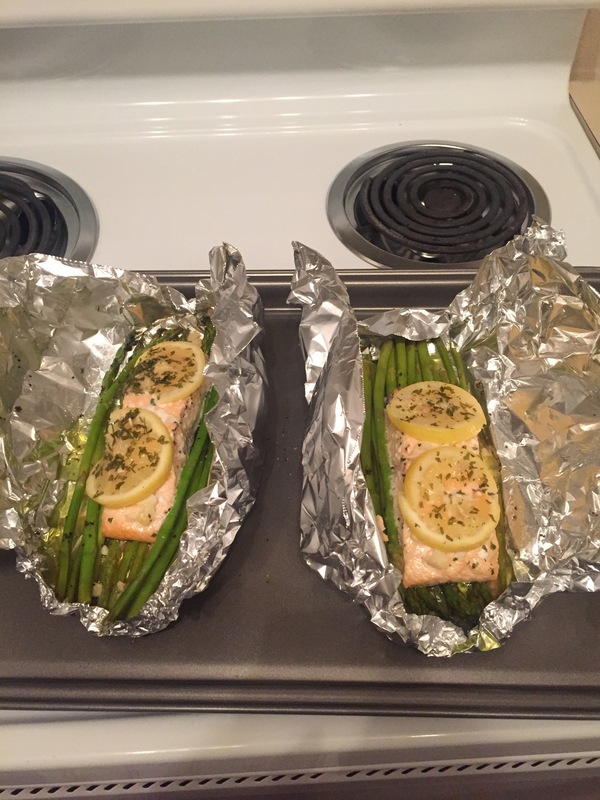 All of the recipes have been a success but I only have pictures of the baked salmon. The baked salmon recipe was the third recipe that I tried and I’m really proud of how it turned out. 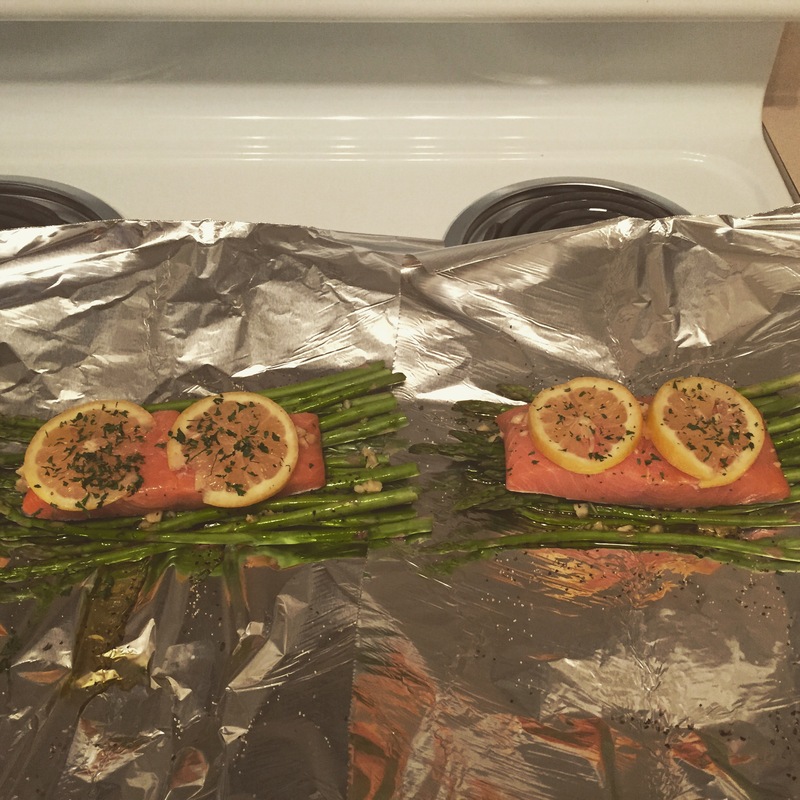 I actually don’t even like salmon that much but it was a relatively low maintenance recipe that required very little clean up afterwards so I decided to go for it. Since everything is baked in foil, you literally don’t have to do anything besides throw the foil away when you’re done eating. That was the best thing about cooking this. Oh, and it smelled REALLY GOOD while it was in the oven. 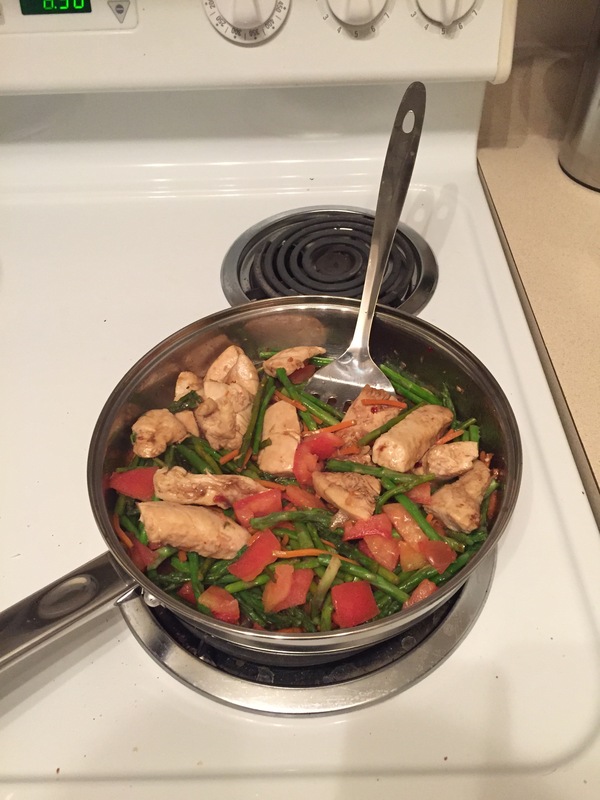 Click HERE for the ingredients and instructions to make this awesome dinner.